Helen Eileen Davis, 90, of Rockford, Ohio, died at 1:50 a.m. Friday morning, January 18, 2019, at her home after a lengthy illness. She was born at home in Liberty Township, Mercer County, Ohio, on November 29, 1928, the daughter of William and Amelia Katherine (Bollenbacher) Weinmann. In January of 1949, she married Doyle Sealscott, and he preceded her in death on March 2, 1950. She then married Woodrow Davis on August 23, 1952, who preceded her in death on February 18, 1994. Eileen was a graduate of Rockford High School and Warner Beauty College in Fort Wayne, Indiana, in 1947. In January, 1947, she began working with Marcella Easthom in her shop, where she worked until January 1955. She then worked for Sophie Pfister at the Modern Beauty Shop from 1956-1976. In 1977, she began working for her daughter, Brenda Barker, who opened the “His n Her” Salon in Rockford, where she worked until 2011. 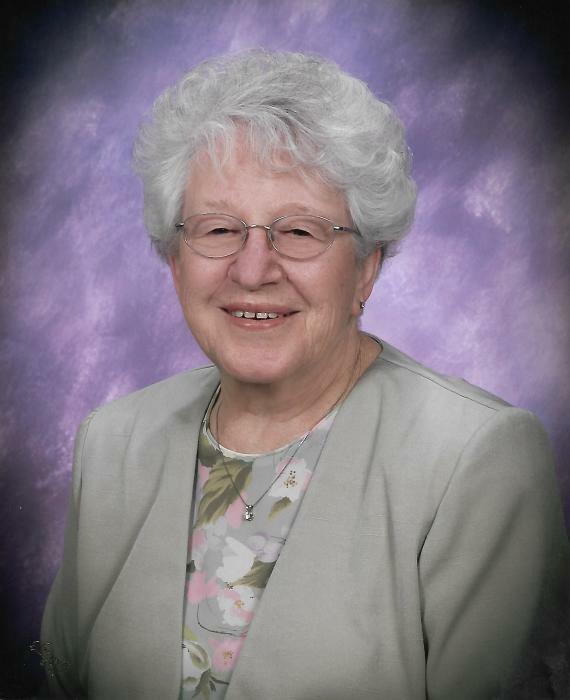 Eileen lived her entire life in Rockford and was a member of the First United Methodist Church, where she was the church treasurer for many years. This church then became the Rockford United Methodist Church. Eileen was very active here as well and a faithful member of the Women’s Association. Her church and family meant everything to her. Eileen always made sure that everyone went to church as a family. She loved to cook and was an amazing cook, as well as a wonderful seamstress. She loved sewing and enjoyed teaching her granddaughter to sew. She enjoyed watching her grandchildren in sports and in concerts—she loved music, and she made sure that her daughters learned the love of it as well—both of them were very talented with their music., as well as their children. Her whole life was her children and grandchildren. She was a very selfless person and always put others before herself. This included not only her family, but her friends, and strangers as well—she was a very giving person. She loved the trips with her family and good friends—especially their fishing trips to Canada. Surviving are two daughters: Brenda Sue Barker of Rockford, Ohio and Rhonda Kaye Fierro of Griffith, Indiana and two step-children: Larry Davis and Rita Yaney; 5 grandchildren; 7 great-grandchildren; 10 step-grandchildren; and 9 step-great-grandchildren. Other deceased family members are a step-son, Richard Davis and a sister, Wilma Juanita Klosterman.